Since our decision to halt our mobile operations with the truck we have received many emails, calls and posts on our social media channels inquiring as to our reasoning and exactly how the ordinances effect us from doing business. In the interest of clarity we thought it would be a good idea to explain exactly where we stand in regards to operating our mobile truck in Louisville. The little known fact is that at this point in time it is simply not profitable to run a food truck in this city. What keeps trucks from being able to consistently bring in the necessary revenue stream is a lack of access to a high density populated area of hungry people. The fact that food trucks are the second highest regulated industry for zoning in our city, second only to strip clubs is part of that reason. While we appreciate the fact that Louisville Metro is making an effort to make it easier to do business, we feel a little larger vision is needed than simply cutting buffer zones. Let’s be a little bit more progressive Louisville. 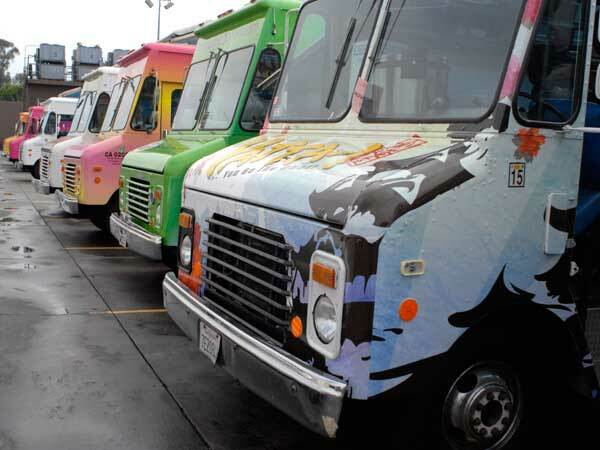 Let’s give food trucks access to their customers. Let’s look at what cities like Austin and Portland are doing to create such a thriving food truck scene. While we feel that public health and safety should continue to be at the fore front of concern for those bodies of government regulating our city, we also feel that there are some solutions that can accomplish both goals. The two easiest reforms that could happen in our city would be to designate a location for a food truck pod similar to that of Portland and to allow food trucks to “bag meters”, with little zoning restrictions, of course paying for the normal parking fees for a set period of time. These two simply changes would make it possible for the trucks in our city to have access to the amount of people needed to be profitable. With that being said, until we see changes of this magnitude we will not have the MozzaPi truck back out on the streets except for private catering events. It just doesn’t make good business sense. On a positive note this changing of gears has given us the much needed time to get those restaurant doors open! Thank you guys for your support and understanding! We look forward to serving you some of our pie very very soon!